It’s hard to think of a song that could have been a more fitting closing track for Van Zandt’s 1969 self-titled album, an LP filled with broken hearts and sad endings. 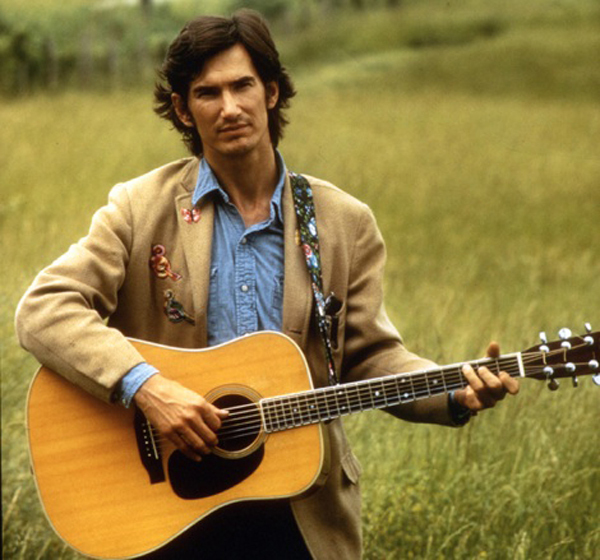 Just an acoustic guitar and a sighing flute are along with Townes for this farewell ride, as he goes from acceptance of his relationship’s deterioration to curiosity about his ex’s future life. The word “haunting” gets overused when describing songs, but it couldn’t be more apt as a modifier for what Van Zandt achieves here. Using the same dexterity to describe the darkness of the narrator’s soul as he would to describe the prettiness of a woman, Van Zandt draws a pitch-black self-portrait on this minor-key gem from Delta Momma Blues. “I covered my lovers with flowers and wounds,” Townes sings. “My laughter the devil would frighten.” This “Rake” gets his comeuppance at song’s end, as his crimes and sins eventually catch up with him, so that even the moonlight, the usual setting for his revelry, becomes unbearable. Van Zandt didn’t wait very long before trying to fix what he felt went wrong with this track from his debut album, as he quickly re-recorded it for his second album, Our Mother The Mountain, just a year later. It proved to be the right move; he fleshed out the lyrics, adding crucial parts about the heroine’s father which better explain her choices later in the song. He also slowed down the pace to wring out every bit of sorrow from the tale. “Tecumseh Valley” is an early example of his mastery of the story song. Van Zandt didn’t often attempt what one would call “epic” songs, even though he was more than capable of hanging with the Dylans and Cohens of the world in that respect, which he proved on this five-minutes-plus ode to an unattainable girl from 1969’s Townes Van Zandt. The narrator has been around Miss Carousel enough to both see her charms and understand the pitfalls of falling for them. After all, her name suggests a dizzying, circular ride that never quite reaches its destination.